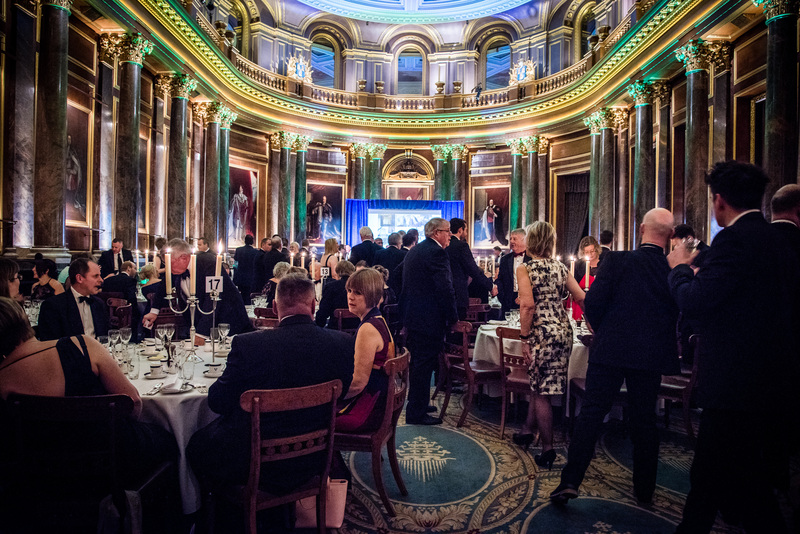 All joinery manufacturing and woodworking firms are urged to get the recognition they deserve, and help raise the profile of British joinery, by entering the BWF Awards. There are five award categories to choose from (see below), highlighting technical innovation and excellence in joinery projects and product design, process efficiency and health & safety, as well as a special award for apprentice/trainee performance. All shortlisted entrants have their achievements promoted through a high profile marketing and social media campaign as well as receiving a free place at theBWF’s popular Annual Dinner where the winners are announced. Recognising the very best in design, application or ability in joinery manufacture, and innovation in joinery projects. The award was presented in 2017 to Gelder Joinery’s restoration of an Edwardian house in Oxfordshire. The project was praised by judges for the project’s beautiful restoration, unparalleled detail and design excellence. The Award is in memory of John Hedgecock, former Technical Director at the BWF. Download the entry form and enter now! Entries are invited for excellence in technical innovation, application, and achievement innovation in joinery product manufacture and design. The 2017 winner was Morland, based in Powys, Wales, who were recognised for the design, innovation and technical excellence on their ABS Edge Banded Melamine Faced FD30 Fire Doors. The fire door was praised by judges for combining high-end quality with mass market budgets. Implementing lean processes maximises value for money, quality and speed of delivery. This award recognises exceptional projects of this kind that have improved business performance. In 2017 AJB Group were given the award for their clear thinking and commitment to finding a solution to help drive their business performance and outputs forward. The company had invested heavily in its infrastructure over the past two years – over £2million had gone into new Plant machinery, a new factory and various processes, to ensure the business kept ahead in the marketplace. Acknowledging individual or collective effort which has made a notable difference to the health and safety practices and culture of your business. The 2017 winner, Kevin Claughton, of Cotswold Manufacturing Ltd in Stockton-on-Tees, was recognised for his focus and commitment. By reviewing the COSHH arrangements and changes to the way hazardous waste was contained and stored at his business, Kevin was able to make a cost saving of £18k per year. Kevin was instrumental in Cotswold Manufacturing’s move to a new 89,000 sq ft factory, and has now trained 96 colleagues on health and safety matters – including the company directors. The Award is in memory of Michael Lee, former Membership Director at the BWF who passed away in 2016. Celebrating apprentices or those who have entered the industry through alternative routes, including graduates, A-level students and in-house trainees. This award is for the rising stars of UK joinery – those that have really stood out from the crowd, whether through fantastic feats in their work, or extraordinary commitment that adds value to your business. Previously split into two awards, Matt Brown from Warwickshire College won the 2017 Trainee award after being nominated by his tutor for his initiative and ambition. During his City and Guilds training course, Matt gained a commission to make a Mayoral bench for the grounds of Kenilworth Castle, which was highly praised. The 2017 Apprentice winner was Oliver Walker. Oliver, 18 years old, of Gowercroft Joinery in Derbyshire, was praised for his workmanship and eye for detail. Oliver’s work on a bespoke window sample for a property in Mayfair led to an order for windows and doors totalling over six figures. Here you can see who made the 2017 shortlist. Can you match them?